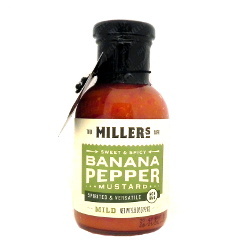 View cart “Miller’s Mustard Habanero 9.5 oz” has been added to your cart. A tamer version of the original banana pepper mustard. Mild packs the same sweet and spicy flavor that fans have grown to love, with a gentle heat profile that’s easier on your tongue. INGREDIENTS: Organic Distilled Vinegar, Raw Sugar, Fresh Peppers, Water, Mustard Seed, Cornstarch, Salt, Turmeric, Paprika, Vitamin C (To Preserve Freshness), Paprika Extract. Hank’s Camouflage Hot Sauce 8oz. 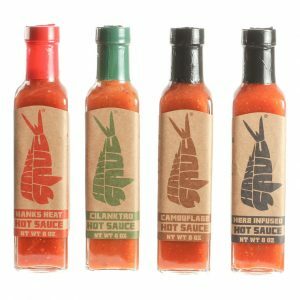 Hank’s Heat Hot Sauce 8oz.